The Festival of Neighbourhoods is now 20 years old. As the new Festival year begins, we are feeling the pride of having been involved with this initiative since its inception. The Festival of Neighbourhoods encourages people in Kitchener to come together with their neighbours. It is led by the City of Kitchener, the Social Planning Council of Kitchener-Waterloo and us, John MacDonald Architect. The rules are simple: We ask people to think of their neighbourhood. Is it one or several streets, a few blocks, or a multi-residential building or complex? 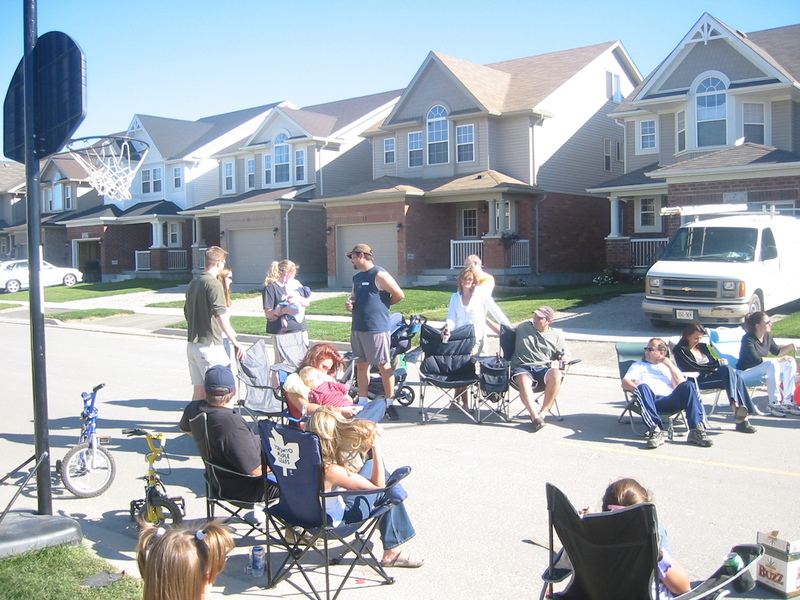 They must invite everyone within the neighbourhood to participate in community activities such as a potlucks, games, garbage pick-ups, barbecues, book or plant exchanges, weekly walks and anything else they can think of. We ask the organizers to register their activities with the Festival of Neighbourhoods, and on the Festival Finale in October their neighbourhood could win a $10,000 capital improvement grant. In the past, these grants have been used to upgrade playgrounds, parks and streets. At the Festival Finale, neighbourhoods are also recognized for their efforts and awards are given for activities with values and features that make a stronger community. John MacDonald and his firm became involved with this initiative when he became interested in the dynamics of healthy communities. As architects, our firm is interested in all aspects of what our cities are made of. This includes not just the roads and buildings, but also the relationships between people and the built environment, and finally, the relationships forged among people as they live in their community. The Festival of Neighbourhoods nourishes this last aspect of our community, encouraging people to get to know those who live around them by introducing fun and creative ways to break the ice and meet the neighbours. Over the past 20 year, the Festival has shown us that connecting with our community creates a much greater sense of well-being, safety and belonging. 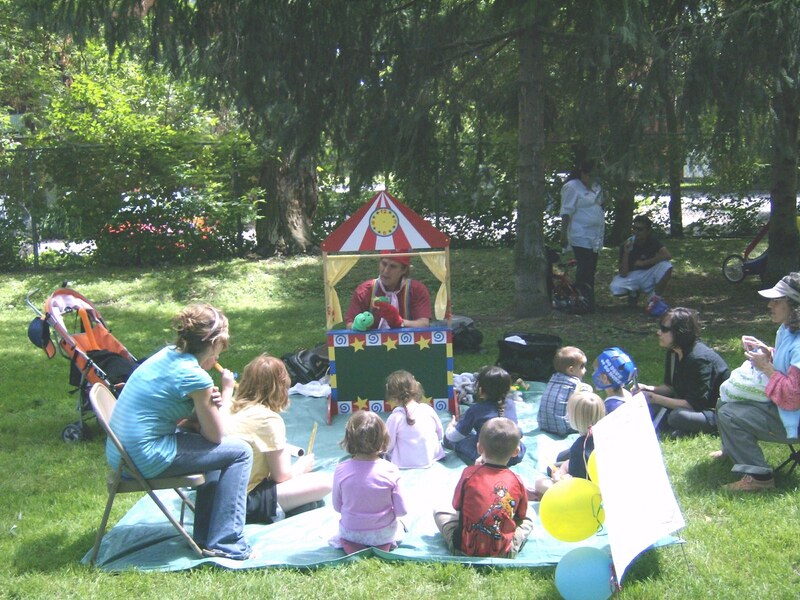 Over the years of involvement with the Festival, we have heard countless stories from participants who feel more welcome and involved within the community, enjoy seeing familiar faces on the street and watching their kids play together. This all seems small and ordinary, and yet these are huge success stories. These participants seek to create a better life for those who live in their community, and they do this themselves, right in their neighbourhood. A great example of a community gathering is Soupstock hosted by the Dekay St. neighbourhood. Watch this fun video here. To learn more about the Festival of Neighbourhoods, go to www.kitchener.ca/fon, or even better, invite all your neighbours to do something together, and tell us all about it. Your story will undoubtedly inspire others to do the same. 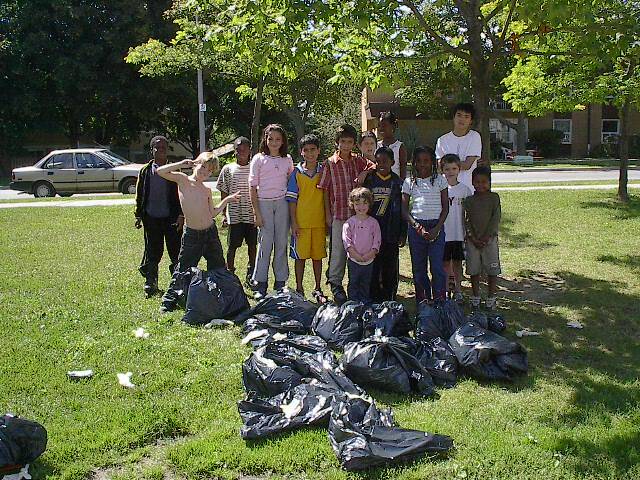 This entry was posted in Community, Grand River and tagged children, community, neighbourhood on 2012/11/13 by adminjma. Then on July 14 and 15 not only did I attend a street festival, together with my team we actually participated in the Salsa on St. Clair Festival. This festival was held for the first time last year and attracted more than 200,000 participants in its first year. Telelatino, Canada’s Latin broadcasting network, developed the idea for this festival and organized a huge street party. This year the crowd was even bigger than in the first year.